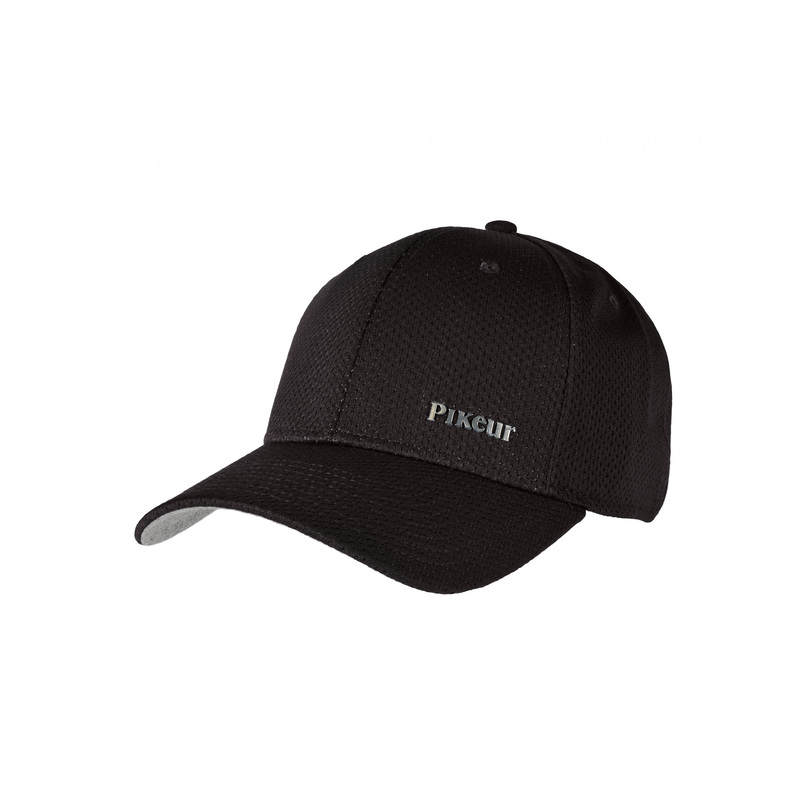 Classic unisex cap with peak made of fabric of a mesh structure. Regulation strap is fastened with a buckle. The cap is decorated with little silver Pikeur writing.